Anna van Egmont (March 1533 – 24 March 1558) was a wealthy Dutch heiress who became the first wife of William the Silent, Prince of Orange. Anna was born in Grave. As the only child of Maximiliaan van Egmond and Françoise de Lannoy, she was suo jure Countess of Buren and Lady of Egmond. She was also Countess of Lingen and of Leerdam, and Lady of IJsselstein, of Borssele, of Grave, of Cranendonck, of Jaarsveld, of Kortgene, of Sint Maartensdijk, and of Odijk. Grave is a municipality in the Dutch province North Brabant. The municipality had a population of 12,395 in 2017. Grave is a member of the Dutch Association of Fortified Cities. Maximiliaan of Egmont (1509–1548) was Count of Buren and Leerdam, and Stadtholder of Friesland from 1540 until 1548. He was the son of Floris van Egmont whom he succeeded as count after his father's death in 1539. Philip William, Prince of Orange was the eldest son of William the Silent by his first wife Anna van Egmont. He became Prince of Orange in 1584 and Knight of the Golden Fleece in 1599. Philip of Hohenlohe-Neuenstein, Count of Hohenlohe-Langenburg, was an army commander in service of the Dutch Republic. Philip was the son of Ludwig Kasimir von Hohenlohe-Waldenburg and Anna zu Solms-Lich. On 7 February 1595 he married Maria of Nassau at Buren. The marriage was childless, but shortly before his death Philip adopted the nine-year-old Margrita Maria, countess of Falckenstein. Anna died and was buried in Breda. Countess Maria of Nassau was the second daughter of William the Silent by his first wife Anna of Egmond and Buren. She was named after William's first daughter, Maria, who had died in infancy. 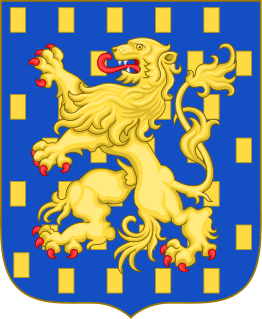 The Egmond or Egmont family is named after the Dutch town of Egmond, province of Noord Holland, and played an important role in the Netherlands during the Middle Ages. 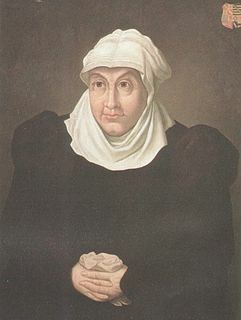 Juliana, Countess of Stolberg-Wernigerode was the mother of William the Silent, the leader of the successful Dutch Revolt against the Spanish in the 16th century. Theodore Eustace(German: Theodor Eustach; 14 February 1659 – 11 July 1732) was the Count Palatine of Sulzbach from 1708 until 1732. Manuel of Portugal was the illegitimate son of António, Prior of Crato, pretender to the Portuguese throne during the 1580 Portuguese succession crisis. He secretly married in 1597 Countess Emilia of Nassau, daughter of William the Silent and Anna of Saxony. Princess and Landgravine Maria Eleonore of Hesse-Rotenburg was Landgravine of Hesse-Rotenburg by birth and was the Countess Palatine of Sulzbach by marriage. She is an ancestor of Albrecht, Duke of Bavaria. The Buren County was a territory situated in what is now the Dutch province of Gelderland. It was an independent county until the establishment of the Batavian Republic in 1795. Although it was not formally part of the United Provinces, in practice it was governed by it. 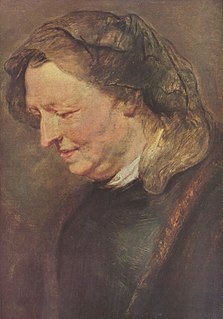 Maria Pypelinckx was a writer from the Southern Netherlands, best known today as the mother of the painter Peter Paul Rubens.